Oliver Twins Interview – Had an amazing time being “spoilt” in The Oliver Twins’ “Dungeon”!! 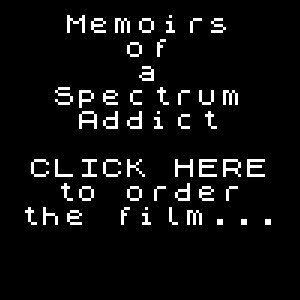 They were extremely friendly and enthusiastic, and the interview ranged from all things Spectrum to….. oooh well you’ll have to wait for the film Memoirs of a Spectrum Addict. For those not in the know, Philip and Andrew Oliver progressed from writing amazing games like Dizzy, Treasure Island Dizzy, Super Robin Hood and Grand Prix Simulator to setting up Interactive Studios/Blitz Game Studios and then setting up Radiant Worlds, now responsible for the awesome SKYSAGA (https://www.skysaga.com). The interview was a blast, and adds more superb depth to the Memoirs of a Spectrum Addict film. Thank you, Philip and Andrew!